This Industrial Copper and Brass Pan Rail is perfect for organising your modern kitchen. The natural glow from the copper will illuminate your room. 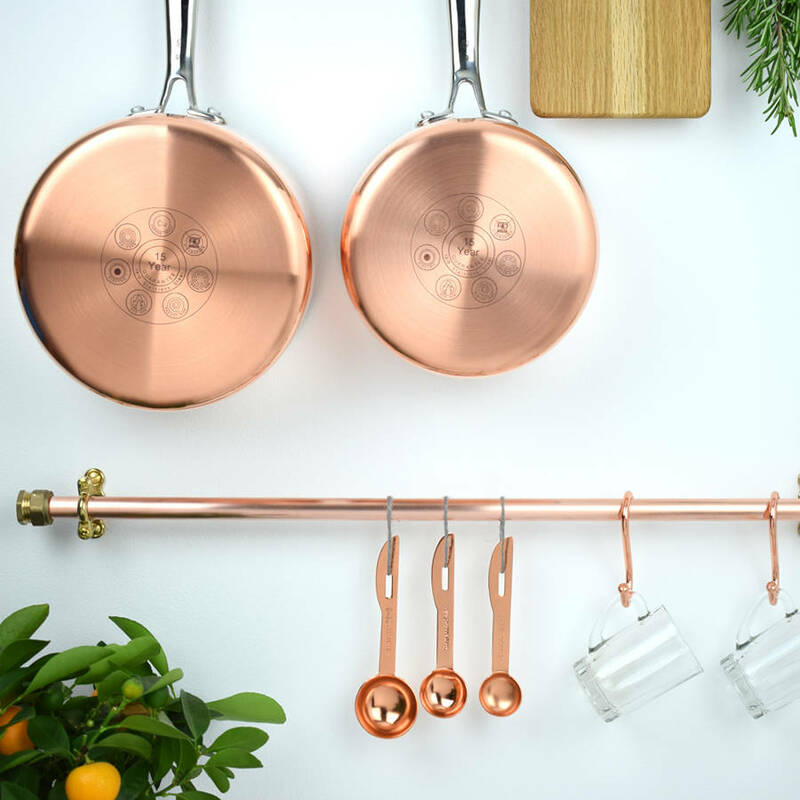 Store away your kitchen utensils, pots and pans with ease and elegance. 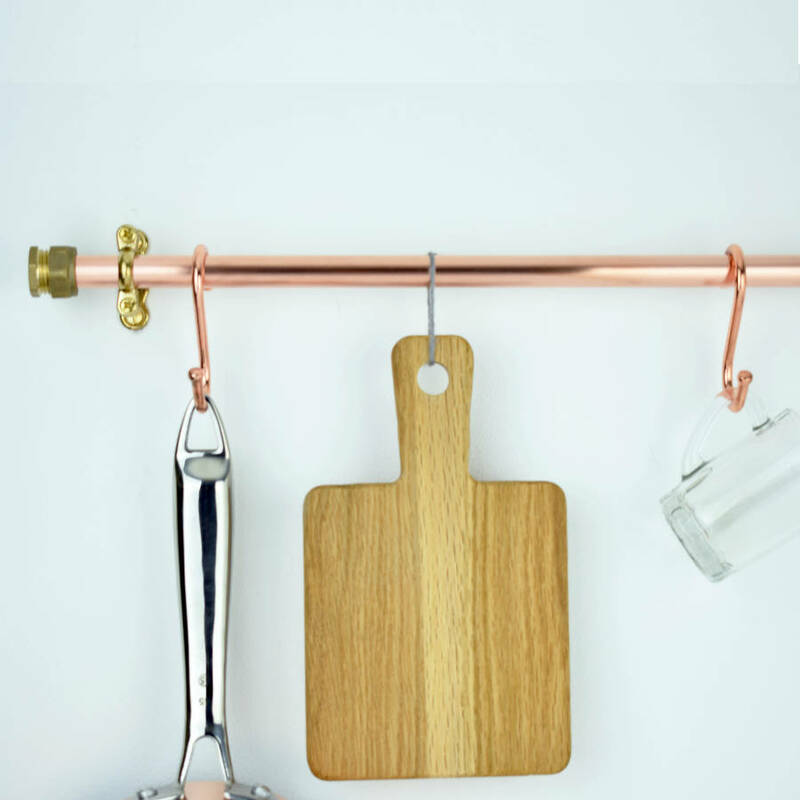 This pan rack has been lovingly hand crafted in our Brighton workshop and is extremely easy to assemble. 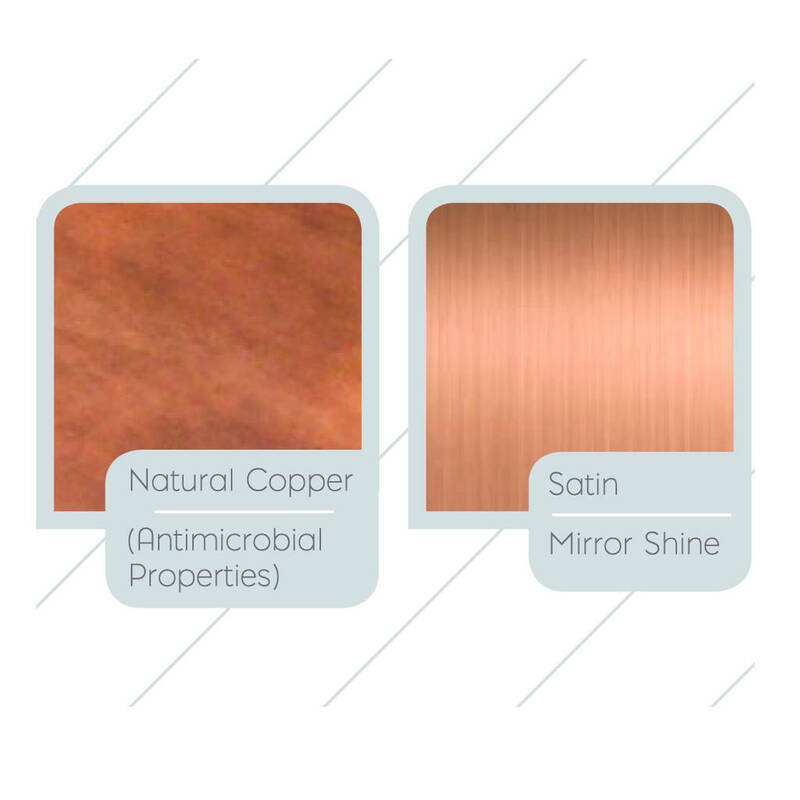 Natural Copper: Which is antimicrobial and antibacterial with a warm shine. We sand and polish the copper which will gradually age over time, darkening in colour when exposed to air to a bluish green, leaving a beautiful patina. The darker the colour the greater the antibacterial properties, this can also be polished to a like-new finish. Satin Lacquered: for this finish we sand and polish the copper to a glorious shine which reflects the light beautifully (as shown in our images above). We then apply a lacquer (treatment) to the copper which will protect the coppers natural colour and finish. 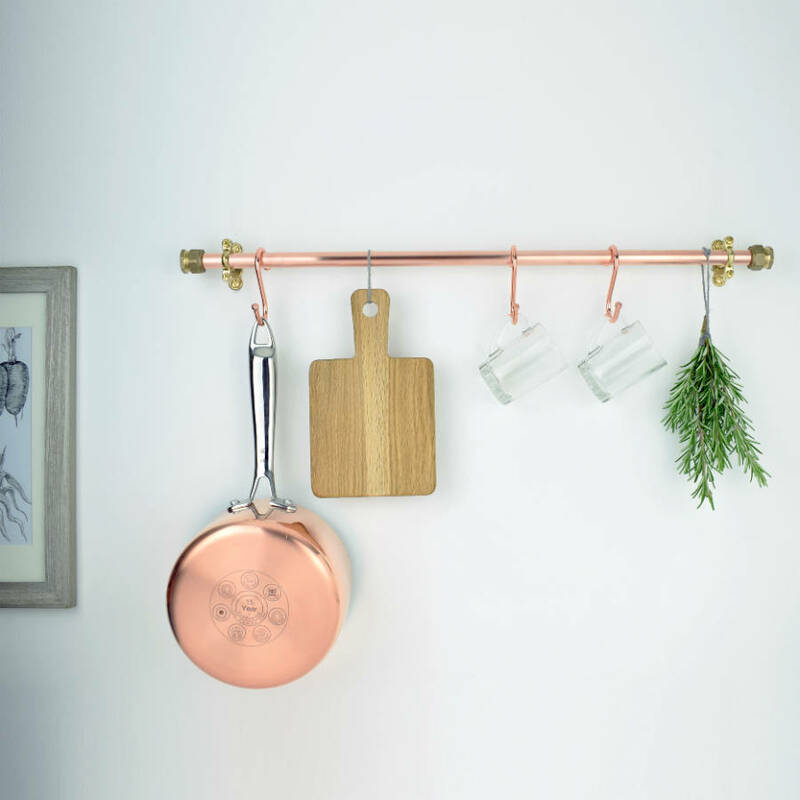 Hooks are not included, these can be purchased from our store in a varitey of finishes; Copper, Brass and Chrome. Choose from the list of lengths we have provided in the selection box next to the picture. 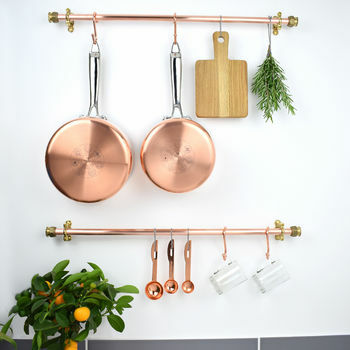 This product is dispatched to you by Proper Copper Design.